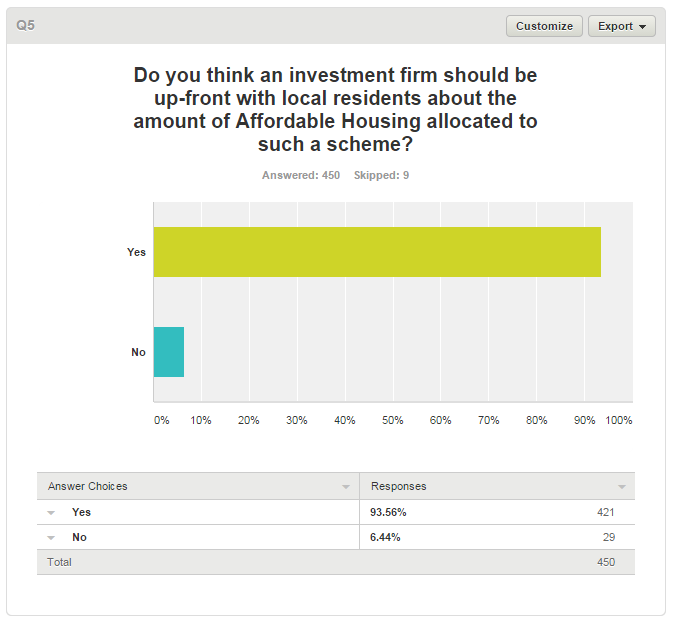 Chiswick High Road Action Group carried out a survey to discover the true reactions of local residents to the proposed redevelopment of Empire House, Acton Lane, and Essex Place after developer Lend Lease claimed that their “consultation” had shown overwhelming support for their development. For more information about this development click here. CHRAG received over 450 responses between 6th October and 6th November 2014 and the results are presented below. 86% wish the height of Empire House tower to be lower or remain the same height. Only 14% welcome an increase in height. 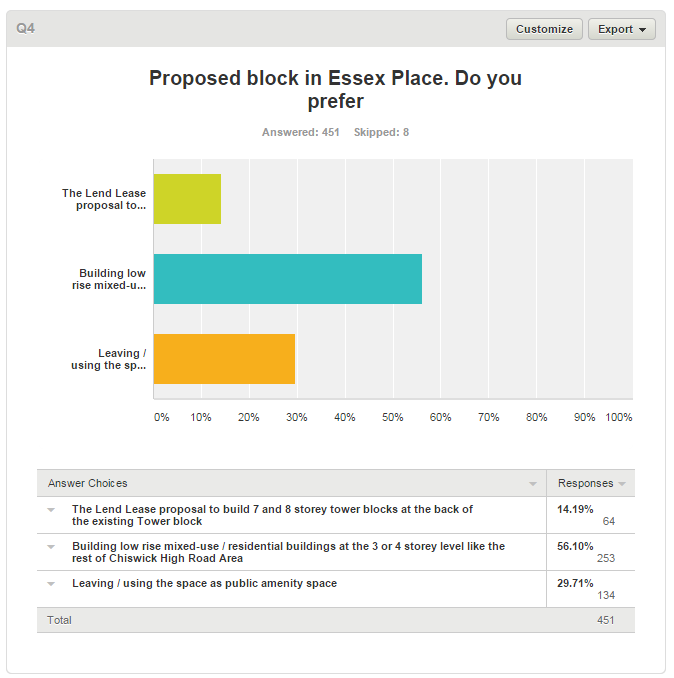 What do locals want for Essex Place?